This 100% Arabica gourmet blend was invented with the aim of creating at home a coffee that was “as good as the coffee at the cafè”. 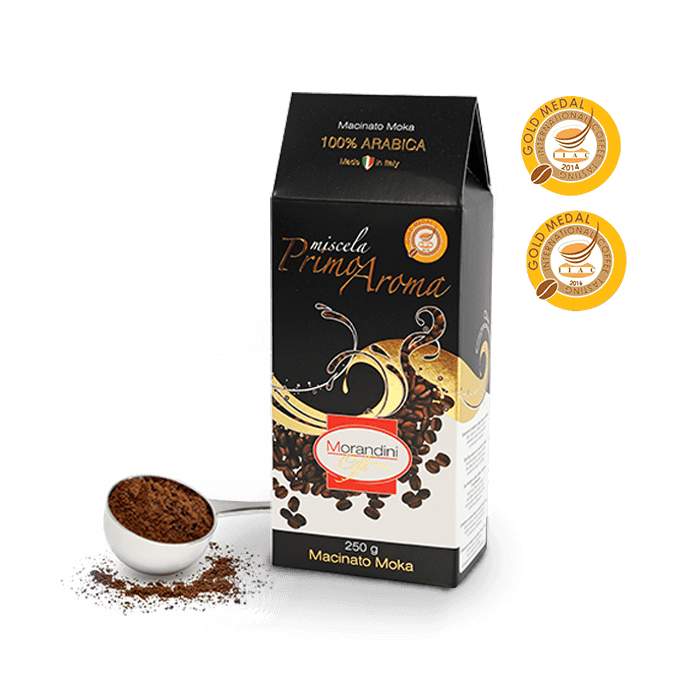 Produced to prepare mocha coffee and obtained from blending the highest quality Arabica, Primo Aroma is characterised by its unique aroma and a taste in which sweetness and acidity mix perfectly. Available in a refined vacuum-packed wrapping of 250 g of ground coffee.